The Grateful Dead have announced their latest deep-dive box set release, Pacific Northwest ’73-’74: The Complete Recordings, which will feature six complete shows recorded during those years. 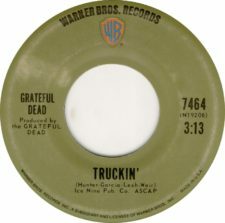 Today the band is previewing the set by unveiling a 26-minute medley including the American Beauty closer “Truckin'” and Buddy Holly’s “Not Fade Away” – from a May 1974 at the Portland Memorial Coliseum – that’s long been prized among aficionados. Listen here.